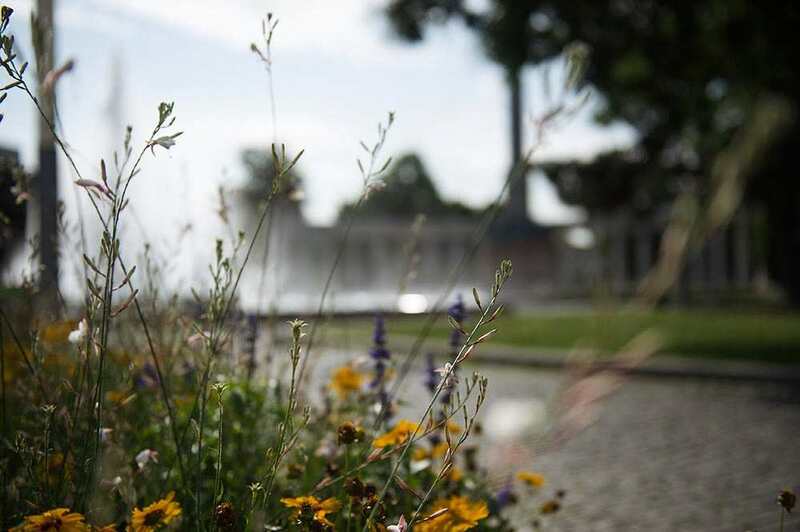 When there is a heatwave one has to know the coolest spots in Vienna – like next to the Hochstrahlbrunnen at Schwarzenbergplatz, its water mist is the best air condition you can imagine! It even makes 38° almost bearable. 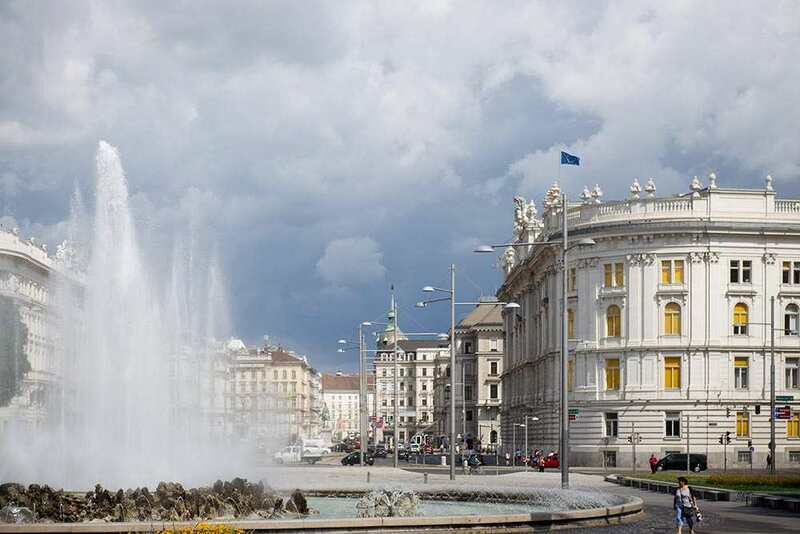 The fountain was built in 1873 to mark and celebrate the completion of Vienna’s water supply system. 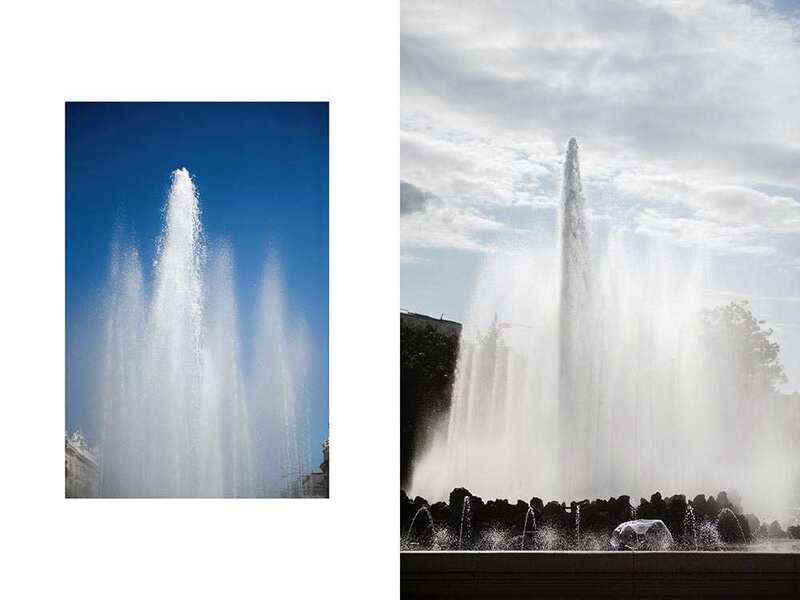 Vienna is lucky to be supplied with drinking water via the “Hochquellwasserleitungen” from Rax & Schneeberg mountains.